Along with keeping busy at work for the past few weeks, we have packed our weekends full of activities (when the weather allows us to). Our first weekend here Janice (our landlord) invited us to join her family at church! It was a great service with lots of singing. After service we socialized with some of the locals then headed back into town to grab some groceries. We were then invited over for some delicious butter chicken with Janice and her family. Unfortunately, we did not get a picture of the food but we both agree that it was the best butter chicken we have ever had. 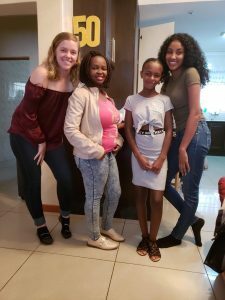 The following weekend Nomcebo invited us to celebrate her daughters 12th birthday with her on Saturday! It was very nice getting to meet her daughter Melo and her friends. They even tried teaching us a few of their dance moves, it is easy to say they were much better than us! 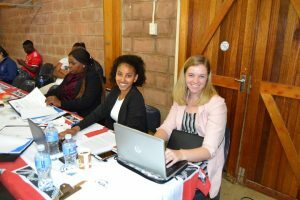 That Sunday we had our Annual General Meeting (AGM) for EOCGA. We were very busy in the office preparing for this meeting the days leading up to it. We compiled all the documents and created personal files for each association that would be in attendance. At the meeting we were responsible for recording minutes throughout the meeting. It was a bit difficult of a job but helpful that the two of us were working on it together. Last week we have been working on editing the official documents of the minutes to send out to all associations to keep for their records. This is a big responsibility that we have been taking lots of time to complete efficiently. 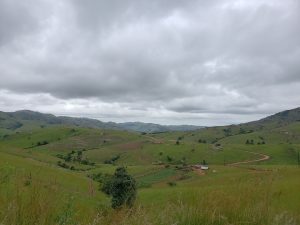 This past weekend we had a very busy Sunday filled with a hike and football match. 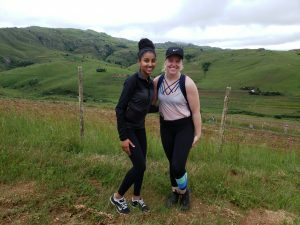 The hike was approximately 10 km through the countryside of Eswatini and had very beautiful views! We got to meet lots of locals and some individuals here from China, Taiwan, Germany and the United States all for various reasons. 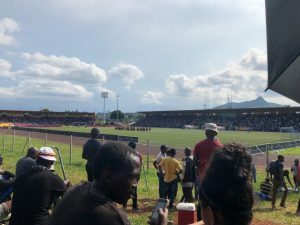 Following the hike we headed into town to catch a kombi from Mbabane to Lobamba to watch the Young Buffaloes vs Mbabane Swallows at the Somhlolo National Stadium with our friend Bandile from the OAC. The atmosphere was amazing and the game was packed with fans! The Kings Cup finals are coming up in the next month and we are very excited to try and catch that game.